Okay folks. I think we’ve all been there, at least I have…not my best look (reference brow #4) But the perfect brow is a hard thing to master! Sometimes you just need to STEP AWAY FROM THE MIRROR. Otherwise next thing you know your stuck with a good ole’ Mr. Sperm Brow. 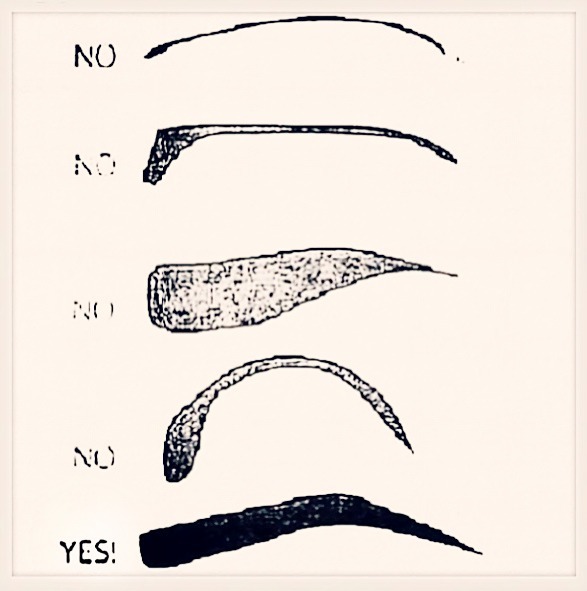 Here are some tips & tricks to get that perfect brow! Hold a Q-tip to help guide you…Your brows should begin directly above your tear duct (inner corner of the eye), peak in line with the outer side of your iris, and end at a point that falls 45 degrees from the outer corner of your eye. Try not to arch your brows too high or they’ll look unnatural, and you’ll have that constant ‘SUPRISED’ look. Good Luck!